Tropic Garden Hotel Apartments in Ibiza. Here is how I found the hotel. ☑ Family-friendly with an ecological twist. 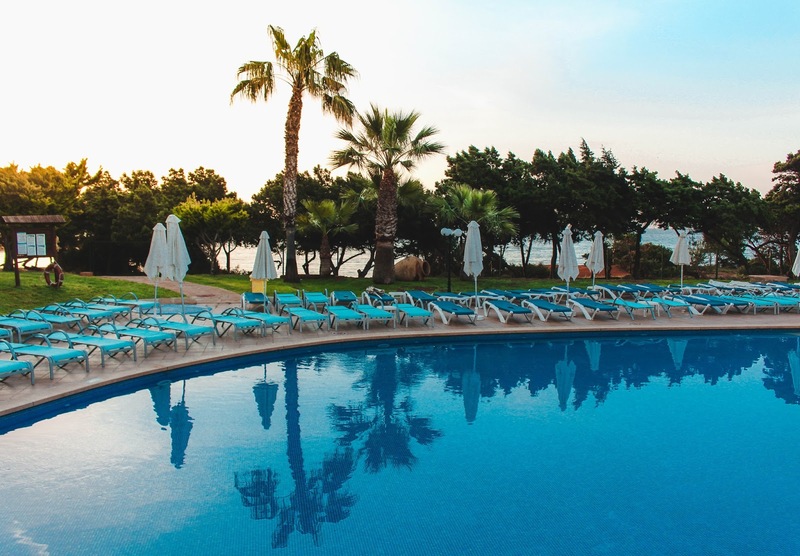 Set upon the cliff tops of Santa Eularia des Riu, the Tropic Garden Hotel is ideally located for stunning sea views of the eastern coast of Ibiza. Set apart from the hustle and bustle of the main tourist area, yet only a short walk to the harbour, two stunning beaches (Playa Niu Blau and Platja de Santa Eulalia), and historic town centre; Tropic Garden is ideally situated for a relaxing and tranquil getaway. I stayed in the pool view superior room which included a separate bedroom, living space, bathroom and terrace balcony. The first thing that struck me about the room was how light and fresh it felt. With spacious rooms, crisp white walls and vibrant blue accents, I immediately felt relaxed and ready to unwind. The fruit welcome basket and bottle of wine was also a lovely touch. The jewel of the room for me though was the terrace balcony. Overlooking the pool and with a partial sea-view, at night it was truly magical to sit in an evening with a cocktail and see the whole resort light up. The room also comes equipped with some great extras like a microwave, mini-fridge, flat screen TV, safe, free wifi and excellent eco-friendly bathroom amenities (hairbrush, shower gel, conditioner, body lotion and flannel). I opted for the bed and breakfast option for my stay and I was extremely impressed with the varied selection of food on offer in the morning. Served between 8am-10am, There were several stations around the dining area providing great tasting, good quality food. This included cereal, fresh fruit, breads, pastries, meat, cheeses, English breakfast and my personal favourite, the pancake station. There was also a wide variety of drinks available with both hot and cold drinks available. The ideal way to start the day. Rooms: 8 different room types: Standard Apartment, Pool View Apartment, Standard Room, Standard Sea View Room, Superior Room, Pool View Superior Room, Sea View Superior Room, Superior Front Sea View Room. 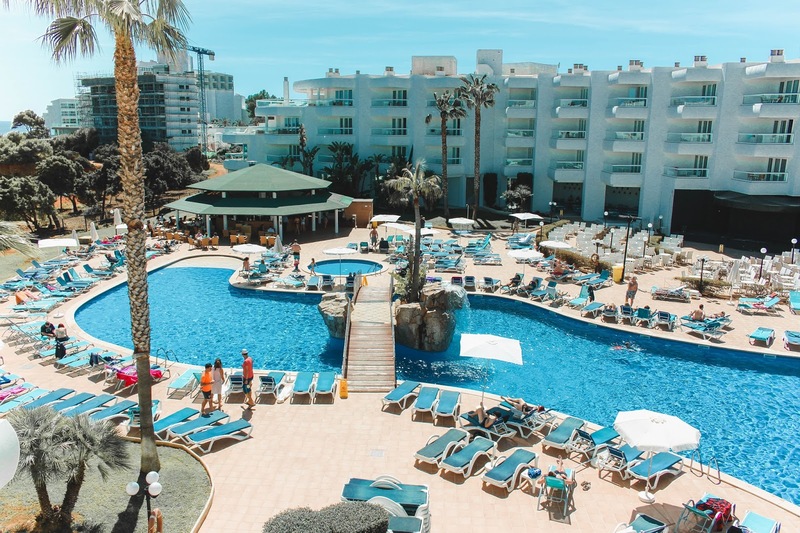 Facilities: Outdoor and indoor pool, splash pool and splash area, jacuzzi, sauna, gym, spa, children’s mini club, evening entertainment, free wifi, all inclusive. Must go! 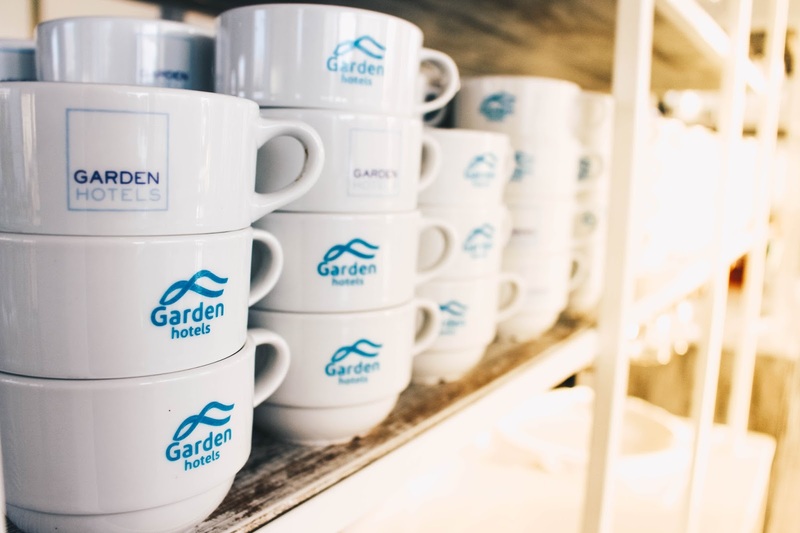 If you want a relaxing family friendly hotel that is away from the hustle and bustle, you can’t go wrong with the Tropic Garden Hotel Apartments. Thank you Garden Hotels for hosting my stay in Ibiza. As always opinions are completely my own.